The bad guys are transporting the girls from one place to a shipment place, in a van. Natasha gets close enough to get the license plate. Natasha pauses and looks at her phone's time as the car drives off. 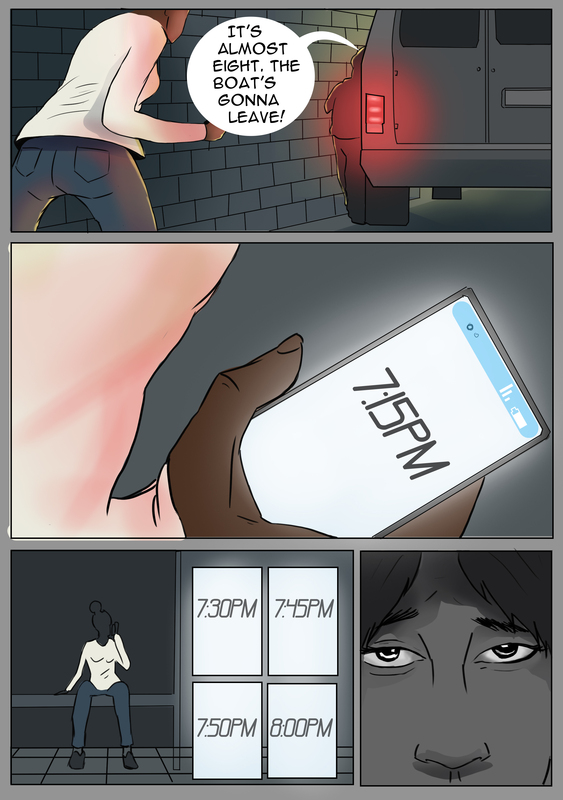 Natasha sits at the bus stop, on the phone with police, in a wide bottom panel. Tiny interrupting panels of the phone time progress to the time when the boat leaves. Long image of one of the eyes of the human trafficking victims, in black and white or light colors.